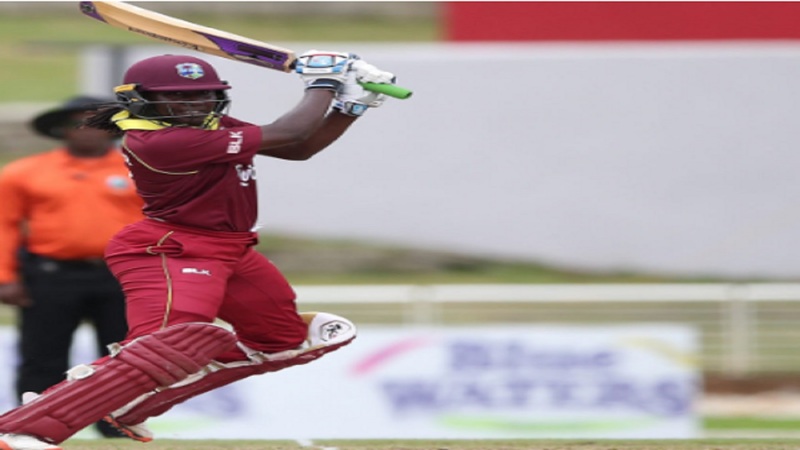 West Indies Women suffered a nail-biting eight-run loss to New Zealand White Ferns on Wednesday in the first T20 International at the Bay Oval in Mt. Maunganui. 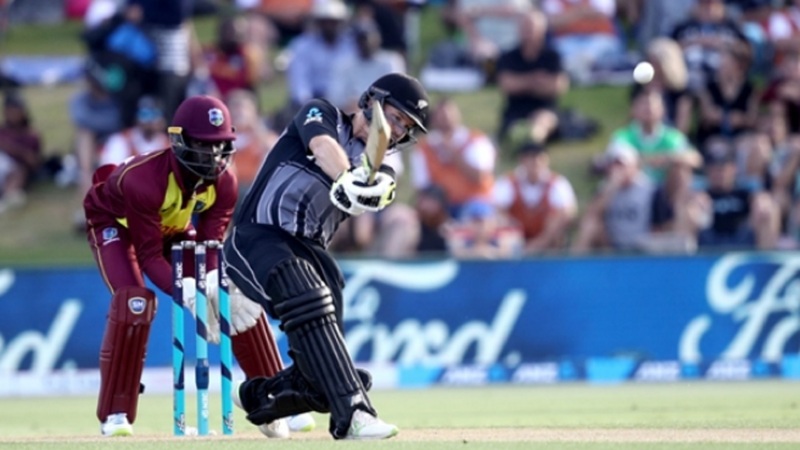 Sent in to bat, New Zealand White Ferns posted 167 for six off their allotted 20 overs and then restricted West Indies Women to 159 for six. The White Ferns capitalized on some wayward bowling by opening seamer Shamilia Connell. However, Connell had the last laugh as she had the ODI Player of the Series Sophie Devine caught by Akira Peters in the deep for six. Then came the partnership that built the White Ferns innings. 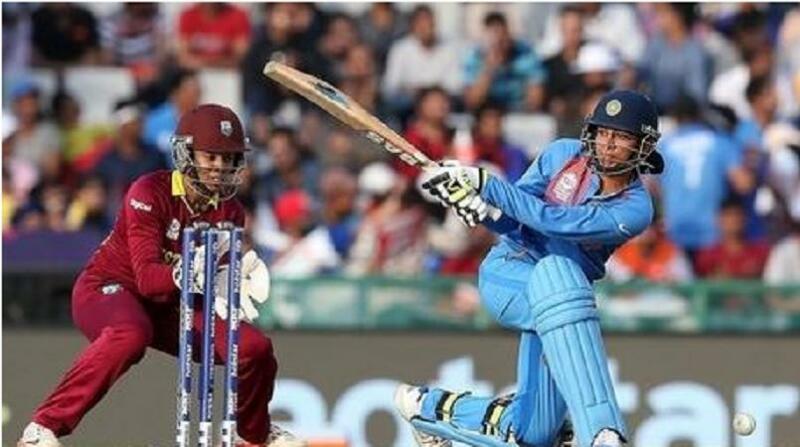 Captain Suzie Bates and Katey Martin carted the West Indies Women bowlers around the ground, while taking cheeky single and twos, to build a 76-run partnership. Leg-spinner Afy Fletcher spun her magic and removed Bates one run shy of a half-century. While Martin continued her scoring. Amy Satterthwaite then joined Martin and they took to the Windies Women bowlers once again. This pair shared 52 runs together before Deandra Dottin got Satterthwaite to sky one with keeper Merissa Aguilliera taking an easy catch. Martin departed shortly after for 54, when Anisa Mohammed had her caught in the deep by Kycia Knight. Dottin came back in the death overs to bowl a very economically and taking the wicket of Maddy Green for 12. Dottin had the best bowling figures for West Indies Women with two for 23, while Hayley Matthews had one 27. The Windies Women had a switch in the opening order, with Aguilleira opening with Matthews, as Reniece Boyce was making her T20 International debut. 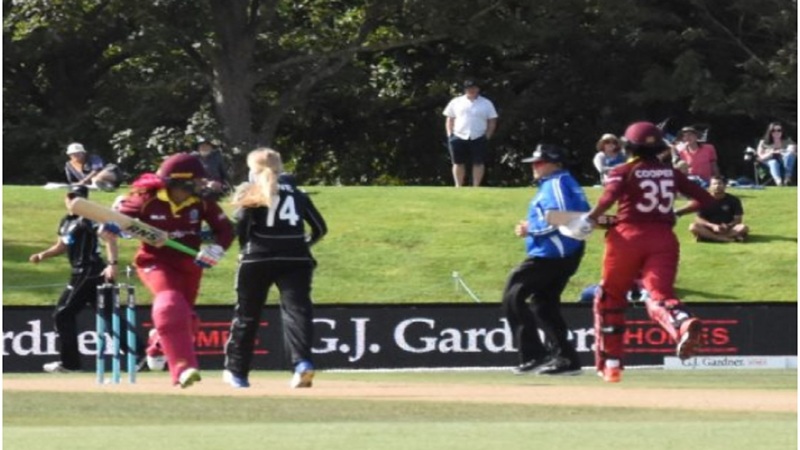 Matthews started aggressively against the New Zealand bowlers, swinging her arms freely and finding the boundaries, while Aguilleira found it difficult to get going. With the score on 42 and Aguilleira on five, she was bowled by Sophie Devine. In-form captain Stafanie Taylor came to the crease to join Matthews. The pair rotated the strike and blasted the White Ferns bowlers in a quick partnership of 18. Leigh Kasperek got Matthews to chase after a delivery and was stumped for a well-played 53. Once again it was left to Taylor to rebuild the innings and get the team to the target. Hard-hitting Deandra Dottin came out to join her captain and this pair looked likely to take the Windies Women to victory. That was short-lived, as Dottin once again found the fielder inside the circle and Devine latched onto the low catch, to send Dottin back for 10. Boyce rotated the strike with Taylor but she succumbed to Devine for 12. With wickets constantly tumbling around her, Taylor carried on the mission of reaching the 168-run target. Kyshonna Knight looked like she would be with her captain until the end. Together with Taylor the West Indies Women’s required run-rate started lowering, as both players were going after their shots. Taylor smashed Hannah Rowe for four fours in a single over to edge the Windies Women closer to victory. Then Kyshonna fell to Kasperek for 19. Twin sister Kycia came next and tried playing an inexplicable reverse sweep only to be left short of her crease and was stumped for 0. Akira Peters was the new batter. Taylor tried valiantly to get the target, smashing three sixes and three fours, but the overs were not enough. Needing 14 runs from the last over, Peters was swinging but not connecting. Taylor eventually got on strike but could only manage to get two runs off the final ball. Taylor finished the match on 51 not out from 31 deliveries. Leigh Kasperek took three 35 from her four overs, while Devine had two for 27 from four overs.